Because you don't want your soldiers looking like undead freaks. Creative Assembly has announced the first patch for Total War: Rome II dropping on September 6. AI routines, balance tweaks, and crashes due to hardware conflicts are listed as the top priorities of this initial update. There have been no comments addressing the cause of the rampant co-op desync. The full patch notes will be released on Friday when the patch is available to download. A co-op campaign in any Total War game is a massive undertaking, but few experiences are quite able to match the feeling of camaraderie when you and your ally stand victorious after conquering the known world. The Total War games boast a well earned fanbase ever since Total War: Shogun allowed a tactical politician to unify the Land of the Rising Sun. However, the more vocal fans are of a series, the more likely they are to howl in protest when the game endures a rocky launch. 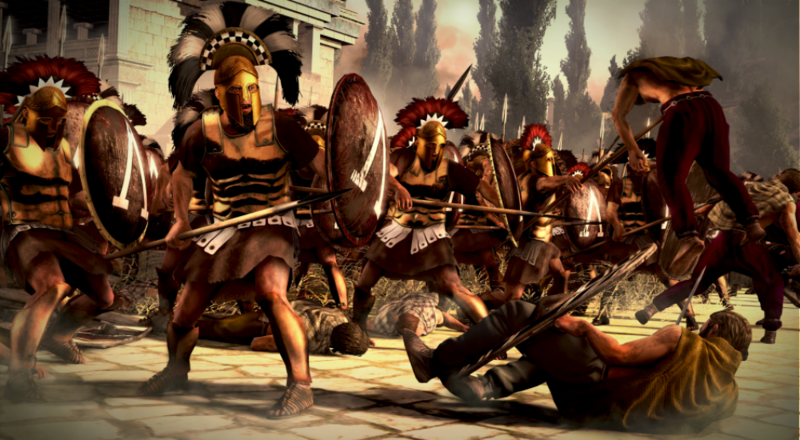 While Total War: Rome II garnered praise from critics, the untamed wolves over at Metacritic cry out for blood. The majority of issues result in game crashes and genuinely terrifying graphical glitches. Seriously. Look at this waking nightmare. PC launches are universally scary for any developer. The vast ocean of various hardware installed on any given machine means meticulous testing both internally and also through user feedback. Committing to weekly updates may renew some of the confidence lost by those unable to play their eagerly awaited game on launch day.